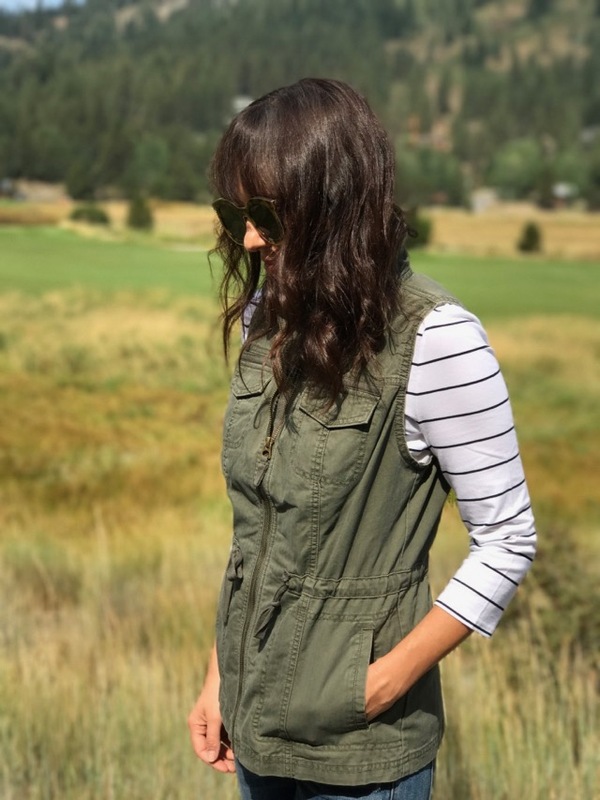 So.....I went into Target for formula and nighttime diapers and walked out with this striped top (can't have too many striped tees) and green utility vest, which are two great transitional pieces from Target's new line, A New Day. 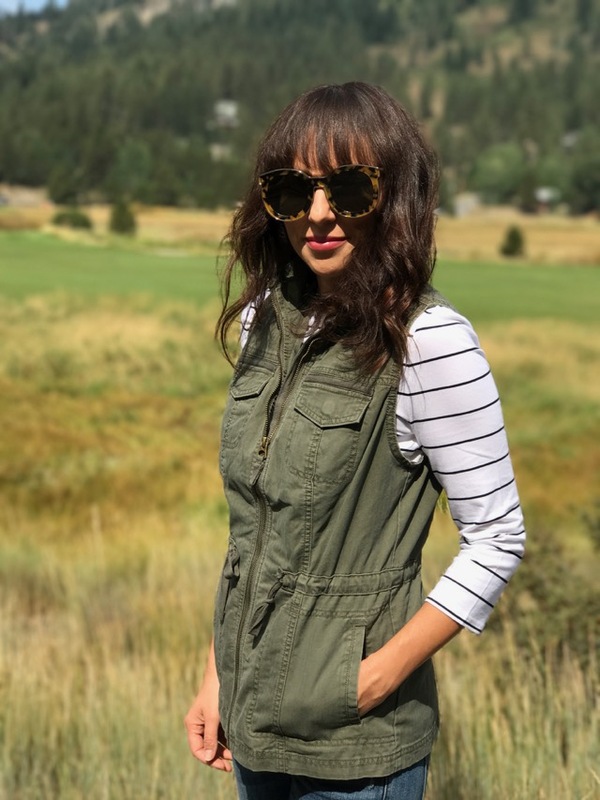 The line consists of wearable, practical, and stylish pieces that are perfect for a busy momma! 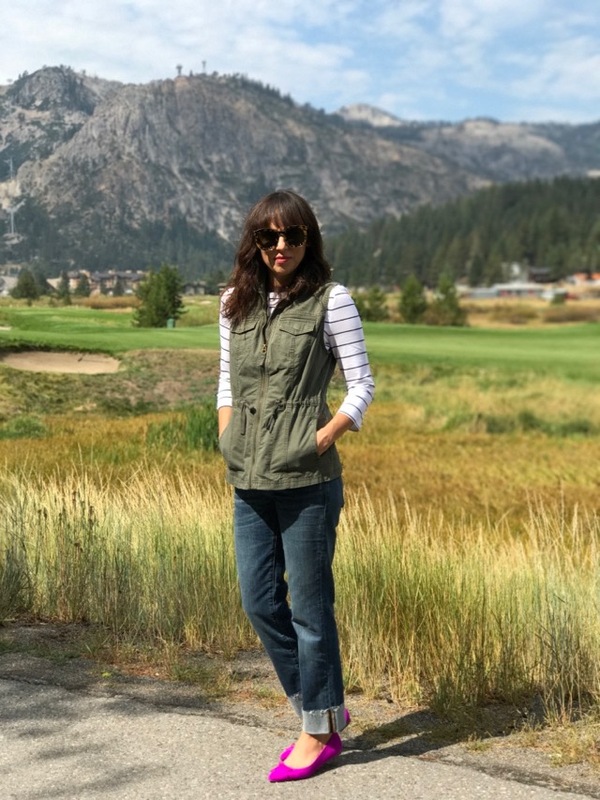 I styled the the boat neck tee and vest with these cute jeans from Banana Republic and ballet flats which I also got at Banana but are no longer available. Not to worry. I found these Nine West flats in the exact same pink! Sunnies are Karen Walker. I bought them at The Rack for 50 bucks (this was one of my most happy moments) which is not available online but I found these oversized tortoise shell glasses by Alexander McQueen that would give you the same look. These Diane von Furtenberg are also cute and under 50. I am seriously loving Sonia Kashuk's Moisture Luxe Tinted Lip Balm. It's just enough color, yet super easy to apply, unlike lipsticks where you usually need a mirror. I am always looking for easy beauty products having zero time for application, and this is a keeper. I am wearing Hint of Berry 44 and looking to add Red 43 to my makeup drawer for fall. Thank you Brain!! I have so many pink shoes but it never seems like enough!! I'm the same. I have several different shades and styles of pink flats but there always seem to be another pair that I "must have :))"